Suspended in the calm waters of the Gulf of Mirabello opposite the village of Plaka, tiny Spinalonga Island is one of the most evocative sights in Eastern Crete, its former leper colony adding poignancy to the magical beauty of this unique spot. From Elounda's harbour, regular day-trips by caique depart to the island, but staying at the Spinalonga Village, you hardly need to make the effort, for true to its name, this cluster of stone cottages boasts such fabulous views of the island that you almost feel like you could reach out across the narrow straits to touch its hauntingly beautiful, crumbling buildings. Although far from crumbling, the single-storey buildings that make up the Spinalonga Village exude a timeless charm that complements this idyllic scene perfectly. Built entirely from natural stone and local timber, they blend handsomely into their rural surroundings just outside the small fishing and farming village of Plaka. 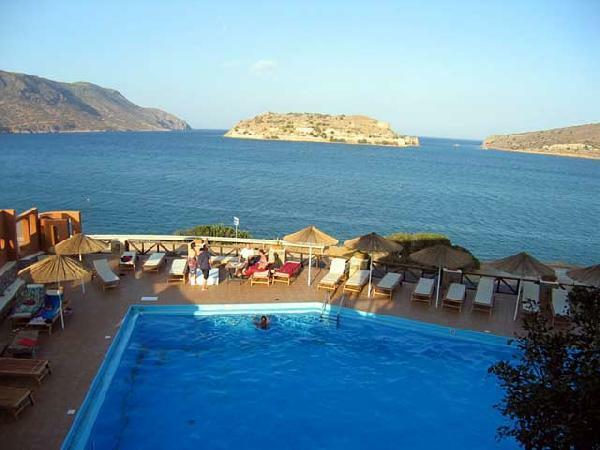 The bustling harbour village of Elounda is just 4 km away, but with only 17 studios and suites, the Spinalonga Village is a far cry from the larger, more impersonal hotels found in the resort. All the rooms are set in a pretty stone bungalows nestling amidst olive, carob and pine trees on a gently sloping hillside, so that each benefits from the same fabulous vista across the sea to the island. Originaly built 20 years ago, the Spinalonga Village is now run by Despina and Georgia - the daughters of its founder - who have recently completed a programme of extensive renovation. As a result, the rooms are very prettily decorated with tasteful fabrics and comfortable furnishings and even boast individual air-condition units. The bar-restaurant is just as attractive, with beautifully carved light-wood chairs and pretty yellow curtains and drapes providing a bright contrast to the deep stone walls. Huge panoramic windows let in plenty of light and open onto a spacious, bamboo-shaded terrace with splendid views over the island. The same beguiling outlook can also be enjoyed from the large swimming pool, whose elevated terrace is separated from the sea only by the small road serving Plaka. Those who prefer to swim in the sea will find a sheltered pebble beach, lapped by crystal clear waters, just 50 meters to the left. Enriched buffet breakfast, snacks and lunch are available in the restaurant and on the terrace, whilst for dinner, you can choose between a large variety of home-cooked Cretan - Greek or international dishes served in an elegant and formal atmosphere. Alternatively, the village of Plaka is just 800 meters away and boasts a handful of wonderfully unpretentious tanernas. 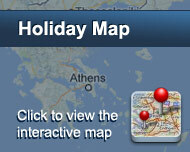 A wider choice of eating places can be found in Elounda, easily reached. Here you will also find a wide range of watersports and other tourist facilities, but the Spinalonga Village is perhaps best suited to those who simply wish to relax in gloriously scenic surroundings and to explore the lovely surrounding countryside on foot or by car. Είστε ιδιοκτήτης ή διευθυντής στο SPINALONGA VILLAGE; Εγγραφείτε τώρα για δωρεάν εργαλεία, που μπορείτε να χρησιμοποιήσετε για να βελτιώσετε την καταχώρησή σας και να συνδέσετε την ιστοσελίδα σας και το σύστημα κρατήσεών σας.